James Shield, the son of an Angus farmer, was a Dundee solicitor. He founded a law firm in Dundee, whose name was well known in the town until 2012. Mary Jane b.1854, James b.1856, John Taylor b.1857, Caroline Jemima b.1860, Margaret Ann b.1863. Subscriber 18 – Edward Baxter – Edward Baxter’s nephew, Edmund, was the business partner of James Shield. James Shield served an apprenticeship in an Arbroath solicitor's office and then went to Edinburgh, where he worked for a Writer to the Signet. He came to Dundee in 1847 and started his own firm. He subsequently went into partnership firstly with Edmund Baxter, who predeceased him, and then John P. Kyd. James Shield was born in 1819, the son of another James Shield, a farmer, of Denhead of Arbirlot, Angus and his wife, Jean Fleming. He served his apprenticeship with Walker and Melville, Writers to the Signet, in Edinburgh. In 1847, he left Edinburgh and came to Dundee to set up his own business. He also became an agent for the Union Insurance Co.
James was an “ardent adherent” of the Free Church of Scotland from the Disruption in 1843. In 1852, he married Caroline Taylor, the daughter of the farmer at Redcastle, Inverkeilor. In 1856, he entered into a partnership with Edmund Baxter of the well known Dundee Baxter dynasty, as Baxter and Shield. This new firm took on more agencies for various insurance companies: English & Scottish Law, the Life Association of Scotland, British Guarantee and Medical, Invalid & General. The Baxter & Shield partnership ended shortly before the death of Edmund Baxter in 1865. Shield had continued to act as an agent for the Life Association of Scotland and when he began a new partnership with John Proctor Kyd, as Shield and Kyd, the new firm continued to act as its agents. Shield had also taken on agencies for European Life and North British & Mercantile (Fire & Life). Shield & Kyd carried on representing the latter and added agencies for the European (Guarantee) and the London (Guarantee) companies. The firm also became Dundee agents for the Scottish Heritable Security Co. Ltd. of Edinburgh. James Shield’s oldest daughter, Mary Jane, married fellow subscriber David Wybrants in 1875. Shield’s wife pre-deceased him in 1881, aged 60. He died in 1884 leaving two sons and three daughters. The firm of Shield and Kyd remained as a well known law firm in Dundee until 2012, when it became part of Lindsays. Old Parish Record. 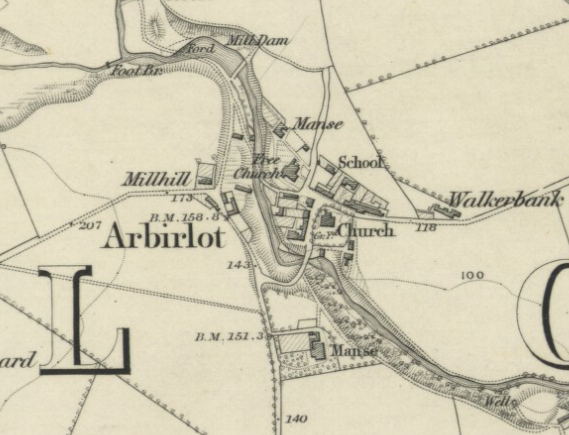 Arbirlot. Birth. 18 November 1819. 271/10 361. ScotlandsPeople website. Old Parish Records. Dundee. Marriage. 24 August 1852. 282/230 420 and Inverkeilor. 24 August 1852. 293/20 225. ScotlandsPeople website. Old Parish Record. Dundee. Birth. 1854. 282/200 154. ScotlandsPeople website. Statutory Registers. Dundee Second District. Birth. 1856. 282/2 288. ScotlandsPeople website. Statutory Registers. Dundee Second District. Birth. 1857. 282/2 1295. ScotlandsPeople website. Statutory Registers. Monifieth. Birth. 1860. 310/113. ScotlandsPeople website. Statutory Registers. Dundee First District. Birth. 1863. 282/1 1430. ScotlandsPeople website. 1851 Census Scotland. 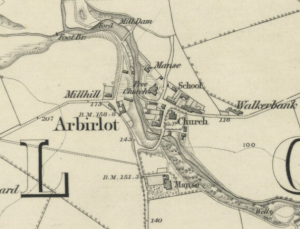 Arbirlot. 271/1 ED14 p.10. Ancestry website. 1841 Census Scotland. Edinburgh, St Cuthberts. 685/2 ED9A p.1. Ancestry website. Dundee Directory, 1850, p.155. Local History Centre, Dundee Central Library. Dundee Courier, Wednesday, 16 August 1854, p.2. British Newspaper Archive website and Dundee Directories, 1853-1859. Local History Centre, Dundee Central Library. 1861 Census Scotland. Monifieth. 310 ED5 p.8. Ancestry website. Dundee Directory, 1861-62. Local History Centre, Dundee Central Library. Dundee Directories, 1864-1881. Local History Centre, Dundee Central Library. Dundee Evening Telegraph, Thursday, 5 June 1884, p.3. British Newspaper Archive website. Statutory Registers. St. Andrew, Dundee. Death. 5 June 1884. 282/4 431. ScotlandsPeople website. Dundee Advertiser, Friday, 6 June 1884, p.5. British Newspaper Archive website. Dundee Directory, 1853-54, p.91. Local History Centre, Dundee Central Library. Dundee Directories, 1878-1881. Local History Centre, Dundee Central Library. Family bible which belonged to William Jamieson Martin, their apprentice. Dundee Directory, 1853-54, p.61. Local History Centre, Dundee Central Library. Dundee Directory, 1864-65, p.184. Local History Centre, Dundee Central Library. Dundee Directories, 1869-1879. Local History Centre, Dundee Central Library. Dundee Directory, 1880-81. Local History Centre, Dundee Central Library. Dundee Directories, 1850-1854. Local History Centre, Dundee Central Library. Dundee Obituary Book no.1, p.107. Local History Centre, Dundee Central Library. Dundee Directory, 1856-57, p.19, National Library for Scotland website. Dundee Directories, 1856-1859. Local History Centre, Dundee Central Library. Dundee Directories, 1856-1862. Local History Centre, Dundee Central Library. Dundee Directory, 1864-65. Local History Centre, Dundee Central Library. Statutory Registers. Monifieth. Death. 1865. 310/114. ScotlandsPeople website. Dundee Directories, 1869-1881. Local History Centre, Dundee Central Library. Dundee Directories, 1869-1884. Local History Centre, Dundee Central Library. Dundee Directory, 1867-68. Local History Centre, Dundee Central Library. Dundee Directory, 1869-70. Local History Centre, Dundee Central Library. Dundee Directories, 1876-1884. Local History Centre, Dundee Central Library. Dundee Advertiser, Saturday, 19 October 1861, p.2. British Newspaper Archive website. Statutory Registers. St Andrew, Dundee. Marriage. David William Wybrants and Mary Jane Shield. 1875. 282/4 57. ScotlandsPeople website. Statutory Registers. Dundee, St. Andrew's. Death. 1881. 282/4 583. ScotlandsPeople website. Our Mergers. Lindsays, solicitors, website. The information above about James Shield has been collated from a range of digital and hard copy sources. To the best of our knowledge it is correct but if you are relying on any information from our website for the purpose of your own research we would advise you to follow up the sources to your own satisfaction. If you are aware of an inaccuracy in our text please do not hesitate to notify us through our Contact page.